Despite the prevalence of mobile apps and with nearly everyone in the world owning a smartphone, using a text message to interactively engage your audience remains a cost-effective marketing technique. Not just effective, but very affordable. A text message doesn’t cost a lot, after all. Add to this a phone’s ability to send a text message to a many people at one time, it is also very convenient. Most businesses these days have overlooked the importance of an SMS marketing. The world may have gone really hi-tech, but text marketing is here to stay. Why? Most text messages are read 3 minutes upon receipt. And even if someone takes a long time to read SMS, the chances of them viewing the content is still high. This means opportunities to generate leads are pretty high at any time of the day. If a prospect likes the content of text message marketing, he is likely to take you up on your offer. Bottom line: SMS has 98% open rate. Regardless of the marketing tool used, personalization will always have a better response rate. With text marketing, you can tailor your message to each recipient according to the data gathered from customer intelligence. If you assign one employee to take care of text campaign, the possibilities of personalizing every message are endless. 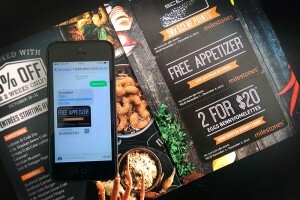 If you add SMS Coupon, you can be sure of an even higher response rate. Most online text message marketing services, like any other marketing tools, have a reporting facility that lets you keep track of how effective your SMS marketing campaign was. For example, if you are trying to send your company website in SMS message, you can include a shortened URL that directs recipients to your web page and track clicks. Through text message marketing, mobile landing pages can also be integrated. Do you want to know what people think about your products or services? You can run a text message survey. Although you can do the same thing online, the possibility of your survey being given full attention is slim. Since text messages are often read and opened upon receipt, there are chances that your SMS Survey will be answered right away increasing the response rate of your survey. A lot of reality TV competitions these days, such as American Idol and The Voice, use text votes to determine a contest’s winner. You can do the same if you want to find out how your performance fares against your competition. Through SMS Poll, you are likely to get an answer in just a few minutes and even see it in real-time. SMS Sweepstake is one of the hottest crazes in joining contests. The beauty of this is that customers do not need to go home and log on to their computer to join. They can do so right on their mobile phones. As you can see, there are plenty of things you can do with SMS marketing. Done right, it will be an effective marketing tool that would not cost you a lot of money. You do not need a lot of tools either, just a mobile phone and an excellent network provider.